Mercure Hefei Wanda offers 577 contemporary guest rooms and suites with private balcony which have been stylishly furnished. Vibrant restaurants and bars offer guests a wide choice of locally inspired culinary delights. It's ideally located only 20 minute s from Hefei South Railway Station, 30 minutes from downtown, Experience the vibe of the city and the adjacent Chaohu Lake or you can relax in the landscaped garden and private beach. 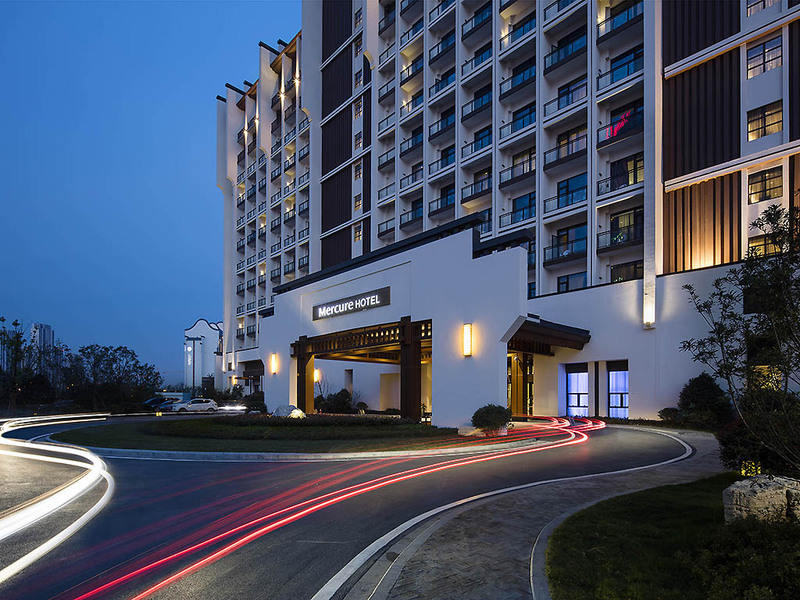 Located only 20 minutes from Hefei South Railway Station, 30 minutes from downtown Hefei, 1 hour from Nanjing and 2 hours from Shanghai, Is adjacent to Chaohu Lake, Theme Park, Aquatic Park and Wanda Mall.is perfect for leisure and business guests. Enjoy international cuisine with panoramic garden views from our large outdoor terrace. Our colorful buffet is served using the freshest seasonal ingredients. Sunset Bar offers sofa seating and a relaxing ambience for social encounters. Sample refreshing beers or bite sized snacks and enjoy the soothing wind.